Those of us who write about living overseas tend to focus on the positive. That is, we make our case for living or buying abroad based largely on the advantages of overseas life… rather than the advantages of escaping your previous life. But let’s face it… some expats simply want to disappear—to spend their days under the radar. Or, if they don’t want to disappear right now, they want theability to disappear if they should feel the need to do so. When looking for an out-of-the-way haven, I have a few preferred criteria… I like a low-profile country, at some distance from the United States, in a low-key city that has no big attractions or tourist traffic. It also helps if the destination is not particularly easy or convenient to get to. There are several reasons why Uruguay is at the top of my list, for starters, it’s almost 10 hours south of Miami by air. It also has an attractive financial-services infrastructure and offers a First World environment with well-maintained roads and drinkable water throughout the country. The people are warm, friendly, non-violent, and well-educated. The health care system is good-quality, and free health care is available. Residency is easy to obtain with a path to citizenship in as little as three years. And most importantly, Uruguay is neither an aggressor nor the object of aggression on the world stage, so there’s little motivation for citizen-spying or terrorism. 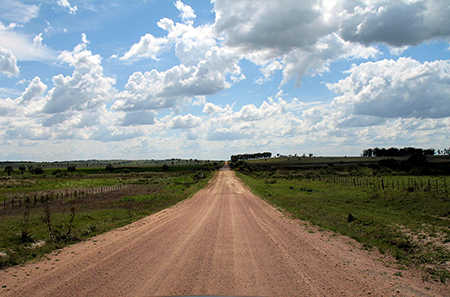 Your best options for privacy will be found deep in Uruguay’s interior in places like Tacuarembó, Rivera, Artigas, or Melo. My favorite, however, is the town of Treinta y Tres. On arriving in Treinta y Tres, my first thought was that if I wanted to hide from an imminent lawsuit or a whopping divorce settlement this town is where I’d settle. There’s the distinct feeling, here in this ranching town of 26,000, that you’re completely removed from the rest of the world, which in many ways you are. If anyone were looking for me, I believe this is the last place they’d come. Treinta y Tres (which means thirty-three in Spanish) got its name from the Treinta y Tres Orientales, a group of 33 revolutionaries led by Juan Antonio Lavalleja, who led the fight for independence from post-Portuguese Brazil, which ultimately resulted in Uruguay’s independence. 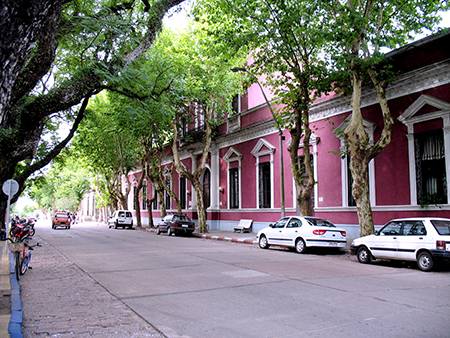 Entering the town’s wide, shady, tree-lined streets—which are typical to all of Uruguay—you’ll find what I believe to be the nicest town plaza I’ve seen in the country. 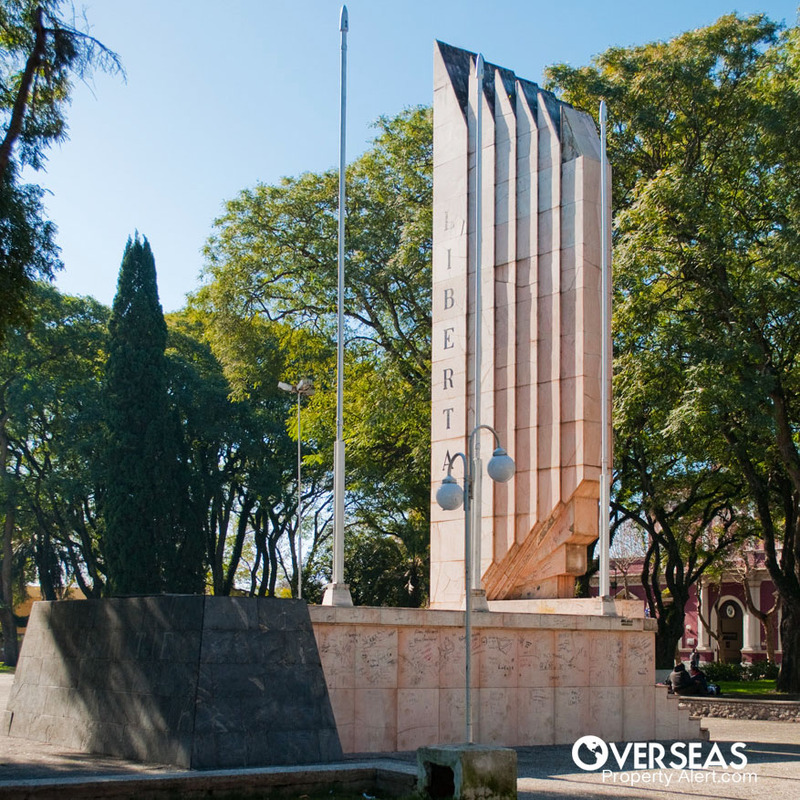 The centerpiece of the square is a monument bearing the names of the famous 33 revolutionaries. I found Treinta y Tres to be peaceful, clean, and quiet. The town plaza is the social center, and you’ll see families enjoying the company of their neighbors, groups of men solving the world’s political problems over a chess board, and people just relaxing with the paper while their kids splash in the fountain. There are plenty of places to have a good meal, and Treinta y Tres has all the requisite necessities such as supermarkets, bakeries, butcher shops, laundry facilities, hardware stores, etc. Best of all, it’s completely walkable. 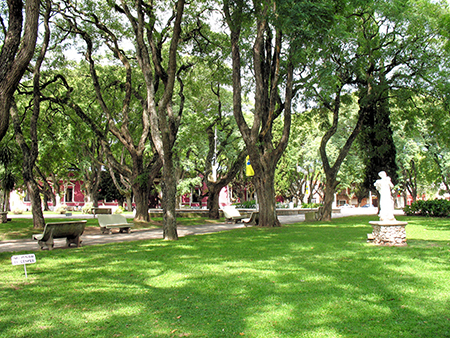 Treinta y Tres is not a tourist destination, nor is it an expat town. You won’t find a hot property market here of the type you’ll see in Uruguay’s Punta del Este or Montevideo. You’ll find the normal buying and selling that you’d expect in a place that’s not a tourist destination or big city. Most of the market here is for houses rather than apartments, which are rare here. I did see one apartment for sale, a small, two-bedroom unit for US$75,000. The size was 50 square meters (538 square feet), and it was located just one block from the square. I think the houses in Treinta y Tres are a better value and more liquid. And Treinta y Tres is not a good market for buying a home for the purpose of renting it out… at least not if you expect a good return. – Just three blocks west of the town square in Centro, I found a good-sized house of 162 square meters (1,740 square feet) with three bedrooms, one and a half bathrooms, and lots of potential. The outside of the house is nicely trimmed with stone, and there is a decent yard. It also offers an office as well as a maid’s quarters. The asking price is US$120,000. – Also in Centro there’s a casa antigua (at a coveted corner location) ready for restoration. With 208 square meters of living space (2,240 square feet), there’s room to create a real showplace. Currently, it has a single bedroom and bathroom on two floors, and enjoys a perfect location fronting the leafy, original central plaza, and surrounded by shops and restaurants. It’s 100% walkable, and the asking price is US$80,000. – Another well-located property, just four blocks south of the square, has 160 square meters of living area (1,720 square feet), three bedrooms and two bathrooms, along with an office, laundry room, and terrace. It’s modern, attractive, and has a spacious yard. Installed services include cable TV, internet, and air conditioning, and the owner is offering it furnished for the asking price of US$190,000. Is Treinta Y Tres For You? But Treinta y Tres is a small town where everyone knows each other, and you’re always among friends. If you’d like to be away from it all and enjoy a quality of life that is unlike what you’ll find in Uruguay’s resorts or big cities, then Treinta y Tres could be for you. I have been living in Rosarito Beach, Mexico, for about 15 years. I have built three houses on the beach here and can tell you it’s a great place to live. The climate is among the best in the world. Beachside living real estate prices are also some of the lowest in the world for a city with the amenities we have here. To live here is extraordinarily cheap, especially with the peso devaluation. I live in a 1,700-square-foot, second-row oceanfront home with incredible views and only 48 steps to the sands of the Pacific Ocean. A house like this can be had for about US$250k. As you can imagine, there are many Americans living here; estimates range between 10,000 and 15,000. So, yes, it is not as “Mexican” as other places in Mexico. But you will be hard pressed to find a value like this—with the amenities we have and the climate we have—at this price, anywhere. I have been living in Rosarito since 1993 (20 miles south of the border at San Diego). I purchased a house here and am located only three houses from the beach. I have never sensed any danger in living here. I am a 76-year-old woman living by myself, and I walk my two dogs every day and sometimes at night. I am involved in many clubs and organizations here and am an active Rotarian. I am currently living in Colombia, and I am looking at buying an apartment here for around US$150,000. I have read a lot of your articles suggesting that people should invest in Cartagena, Cali, and Medellín. I was wondering what you think about investing in Bogotá as well? Is there a housing market bubble in Colombia at the moment? Do you think I would be wise to hold off for a while? I think there are a lot of good investments in the right neighborhoods of Bogotá. I would look at the diverse areas north of the center of Bogotá, between Usaquén and Chapinero. Rosales and Parque 93 are particular favorites of mine in this area, but, really, you can find good deals anywhere. As to any housing bubble, I don’t think that’s an issue at this point. The middle class in Colombia continues to grow, and there’s not much leverage used in the housing market… so a burst of the type we saw in the United States is unlikely. Also, when compared to the world market, prices in Colombia are still very low for the quality lifestyle and properties available. Holding off on a purchase would mean possibly losing out on a relatively weak peso at the moment (at least against the U.S. dollar).